FLAC stands for Free Lossless Audio Codec. It uses a lossless compression which will not change the quality of the compressed audio. Compared to other audio format, FLAC will take less space, it is perhaps the most popular one in use today. The FLAC format is supported on all major operating systems, including Windows 10, macOS High Sierra and above, Linux distributions. It is compatible with many phones (running under Android 3.1 and later, and iOS 11 and later), portable music players (PMP) including the PonoPlayer, and hi-fi components. Any Way to Convert Apple Music to FLAC? This is a question frustrating iTunes Apple Music subscribers. That's because Apple Music is merely a streaming music service, which can only let you stream music from iTunes and listen to the cached file offline, but not own the downloaded the music files. And what's worse is, the streaming music files are protected by DRM protection. Subscribers can only listen to those songs on specific Apple devices such as iPhone. If you want to convert Apple Music to FLAC, then you'll need a DRM removal tool which can help you remove the DRM protection from Apple Music songs. 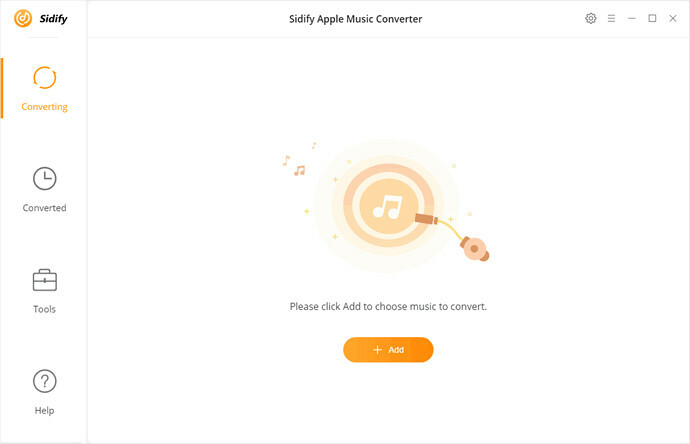 Don't worry, Sidify Apple Music Converter comes to help you. 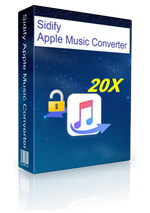 It is a powerful DRM removal software as well as iTunes Apple Music to FLAC Converter. With it, you can completely decrypt DRM from downloaded Apple Music songs and convert the DRM-ed Apple Music songs to FLAC format with ID3 tags preserved. 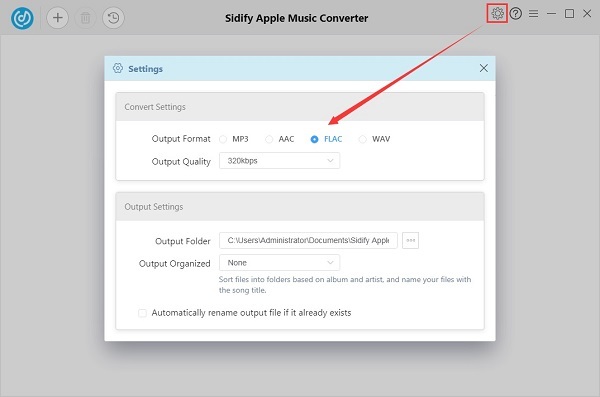 In addition to FLAC, Sidify Apple Music Converter can also convert the downloaded Apple Music files to common MP3, AAC and WAV. Furthermore, it also supports converting iTunes purchased tracks, iTunes/ Audible audiobooks to unprotected FLAC, WAV, MP3 and AAC without quality loss. The following guide will provide you with a simple solution to convert Apple Music files to FLAC format, in this way, you can play iTunes Apple Music in lossless FLAC format on almost popular music players. 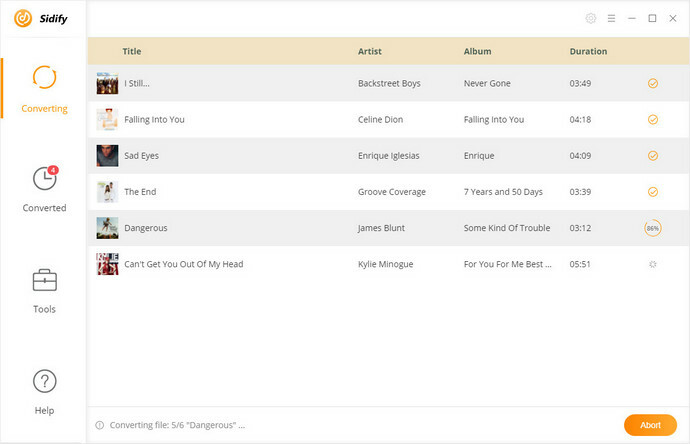 Firstly, download and install the latest version of Sidify Apple Music Converter. 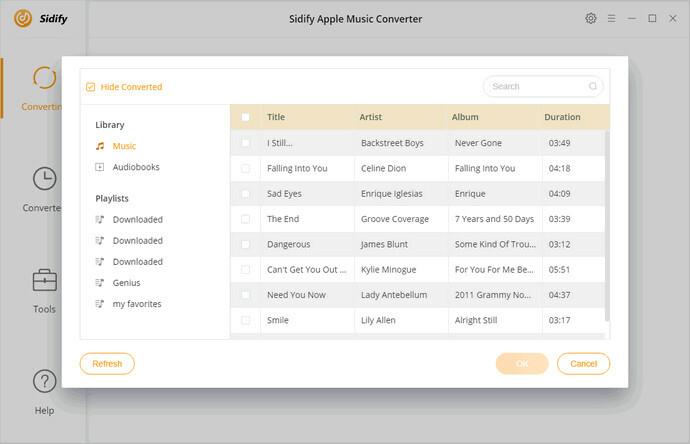 Launch Sidify Apple Music Converter on your PC and import Apple Music files you want to convert. To add the downloaded Apple Music files, just click + button at the top left corner of the user interface. The program will allow you to select files from your iTunes library. The selected Apple Music files will listed on the program window. And now you can choose output format as you need. To select FLAC as output format, just click Settings option. From the pop-up Settings window, you can set Output Format for FLAC. In addition, you can set output diretory that you want to save the converted Apple Music files. Just click on Convert button at the bottom of the screen and the program will begin to convert Apple Music to FLAC format. During the conversion time, you can opt to Do Nothing, Open Output Folder or Put PC to Sleep. If you select Open Output Folder, the converted files folder will open right away once the conversion is completed.